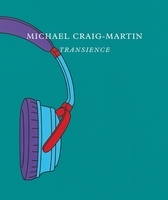 Paperback, 9.75 x 12 in. / 96 pgs / 45 color. 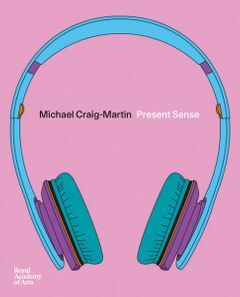 Upon returning to the UK after studying in the US, the Irish-born artist Michael Craig-Martin (born 1941) became a key figure in British conceptual art and an influential educator, linked in particular to the generation of Young British Artists, including Damien Hirst and Gary Hume. 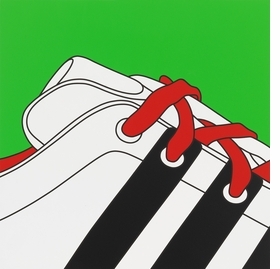 Craig-Martin's works transform recognizable objects—such as sneakers, headphones, watches and, most recently, modernist buildings—with bold color and simplified lines. He cites his "rationalism" as the root of his art. 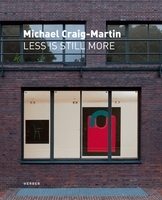 Craig-Martin is the latest subject of a three-year curatorial partnership between the Windsor Gallery, Florida, and the Royal Academy of Arts, London, initiated to celebrate the latter's 250th anniversary. This lively book reproduces a selection of his paintings, prints and sculptures, with an essay by the art critic Ben Luke and an exclusive interview between Tim Marlow and the artist. Image courtesy Gagosian. Photo: Mike Bruce. FORMAT: Pbk, 9.75 x 12 in. 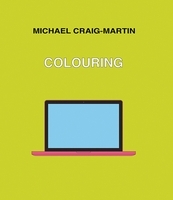 / 96 pgs / 45 color.